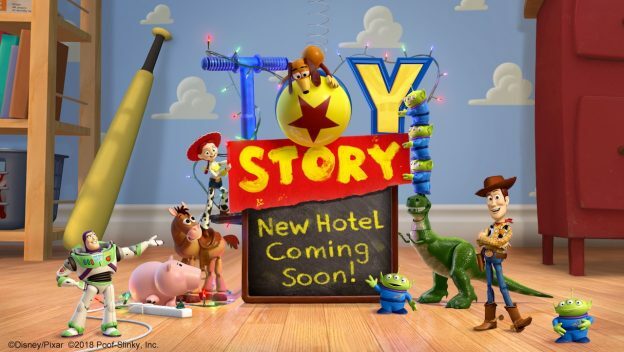 Oriental Land Company, the owners of Tokyo Disney Resort, has announced a brand new Toy Story Hotel for the property. With approximately 600 rooms, this new eleven-story tower will offer family-friendly and affordable options for those visiting the resort. Every room will be inspired by Andy's bedroom, and will feature colorful furniture themed to the movie franchise. Dining and shopping facilities will also be located within the 40,000 square foot tower. Oriental Land Company hopes to open the new hotel during the 2021 fiscal year (April 1, 2021 - March 31, 2022).